CRANFIELD, England - Aug. 7, 2018 - PRLog -- Physik Instrumente (PI) UK, a renowned provider of specialist motion control and precision alignment systems, marked its 10th anniversary by welcoming visitors to the official opening of its recently extended office and customer demonstration facility in Cranfield, Bedfordshire, on Wednesday the 18th of July 2018. European Sales Manager Frank Gehbauer made the journey to the UK especially for the occasion, joining PI UK staff and guests from related industries as the company showcased its enlarged premises, including the aptly named Newton, Baird and Hawking rooms. Visitors discovered PI's exceptional engineering capabilities at first hand during a tour of the new customer demonstration facility, where a number of products were in action, among them a hexapod and a selection of stages, as well as high speed, precision laser scribing. 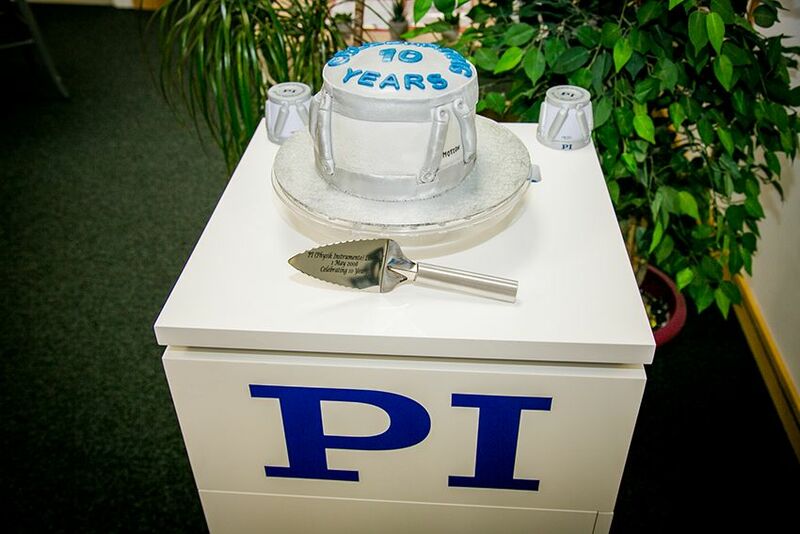 In the 10 years since PI launched its UK subsidiary, the business has gone from strength to strength, developing trusting, open relationships with its customers and more than trebling the number of employees at its Cranfield base. Kevin Grimley, PI UK's Managing Director, said: "The past decade has been extremely successful for PI UK, largely due to a philosophy of continuously investing in new technology, and our employees, who are fundamental to the success of every project. In the future, there are great opportunities for the company in fields such as automation, medical device technology, biosciences and genomics, and we are in a strong position to engage with innovations in all these sectors – and many more. We look forward to continuing the PI UK success story."